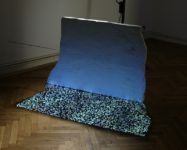 The work is inspired by Platonic study of the Ideas. It brings together a state of the probable and of the improbable. 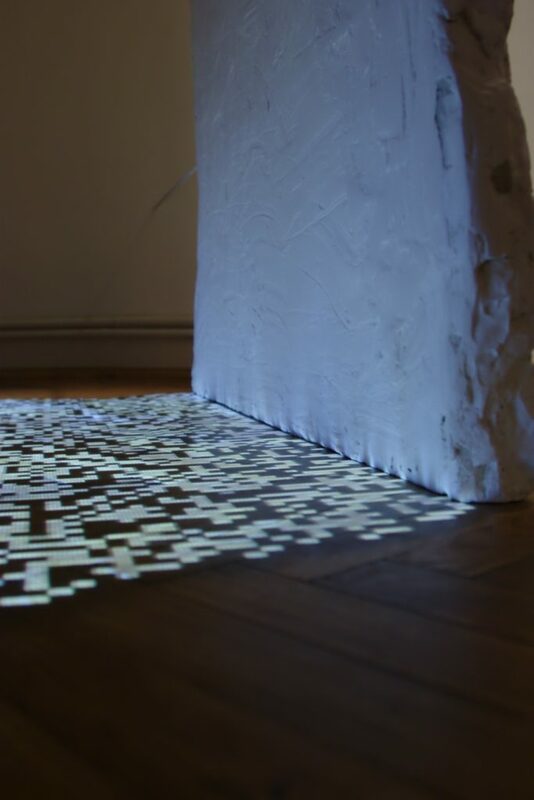 Artificial space of the digital shifts position with a space of perception. The digital world seems to be much more real. 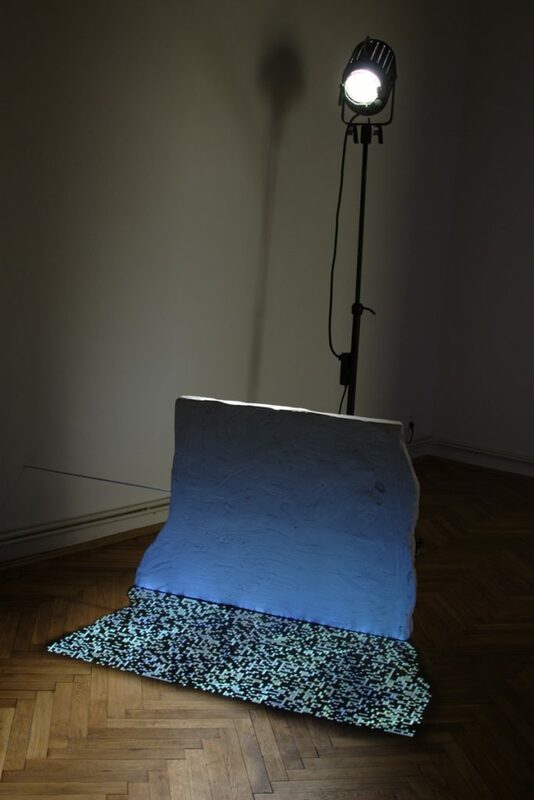 The reflection of the Idea, here a fragment of chance, is a shadow cast by this fragment. The shadow itself is a singular state despite the fact the idea can be endlessly multiplied. 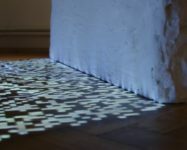 The idea multiplication is a projected image derived from an arduino-based constantly generated shape of the shadow consisting of particular pixels.